Referring to a news report, Congress spokesperson Abhishek Singhvi said the total write off was Rs 7 lakh crore in the last 10 years and Rs 5.5 lakh crore in the last five years. The Congress on Saturday accused Modi government of writing off Rs 5.5 lakh crore in loans of its “blue-eyed boys” and asked it to reveal the names of those corporate companies in respect of whom the loans were written off. Congress spokesperson Abhishek Singhvi accused the government of crony capitalism. 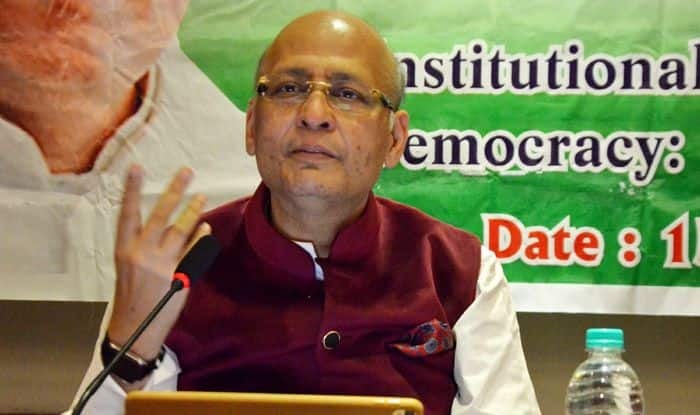 “So, on an average each year this government has merrily been writing off Rs 1 lakh crores of loans and what are they going to do about recapitalisation, about taking your taxpayers money and trying to re-capitalise the banks,” Singhvi said. government and its double-faced, double-voiced approach will be punished severely,” he added. recovery of written off loans is virtually nil and this is because Modi Government rests on the twin pillars of cronyism and loot,” he said.